General Biographical Description: Dr Danny Schust is an Associate Professor and the Director of Reproductive Endocrinology and Fertility at The University of Missouri School of Medicine in Columbia, MO, USA. 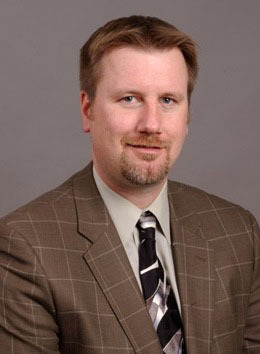 He completed his residency in obstetrics and gynecology at The University of North Carolina at Chapel Hill, his fellowship in Reproductive Endocrinology at Brigham and Women’s Hospital, Harvard Medical School, and postdoctoral basic science training in immunopathology at The Massachusetts Institute of Technology. Dr Schust presently divides his time between clinical duties and nationally funded basic science research. His clinical interests include isolated and recurrent pregnancy loss, oncofertility and pediatric and adolescent gynecology. His research laboratory studies placental immunology, early human placental development and sexually transmitted infections, specifically Chlamydia trachomatis and HIV. Dr Schust has authored or co-authored over 100 manuscripts and book chapters as well as a textbook for medical students on reproductive physiology. He is involved in medical work in Central America and aids feeding programs as well as education and building projects in Eastern Africa.